iMovie version 10.1.1 resolves an issue that prevented users with multiple YouTube accounts from signing in and sharing to the Internet video service. An issue that prevented users from applying white balance adjustments to clips prior to export has also been addressed. Other bug resolutions include proper playback of Sony XAVC S clips captured at 100fps or 120fps, as well as an issue that could lead to the incorrect display of still images. A file handling enhancement now copies clips when dragged from the Project Media container to an event folder. Previously, dragging and dropping would trigger a move operation. As usual, the update also includes various unnamed stability improvements. Today's point update comes three months after version 10.1 added support for editing and sharing 4K video files and 1080p clips captured at 60fps, both of which are features of Apple's flagship iPhone 6s and 6s Plus handsets. 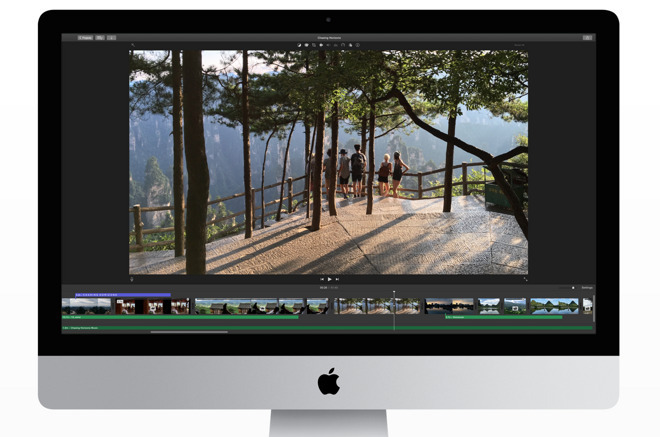 For existing users, iMovie for Mac version 10.1.1 is available now as a free 2.02GB download from the Mac App Store. The app is priced at $14.99 for new customers.